Being a parent is a big responsibility. All children need an education to stay safe and become good, upstanding and sociable mem­bers of society. As its happens, the same is true for our dogs. Pupular: Meeting other dogs is important, but so is learning how to disengage from them when required. 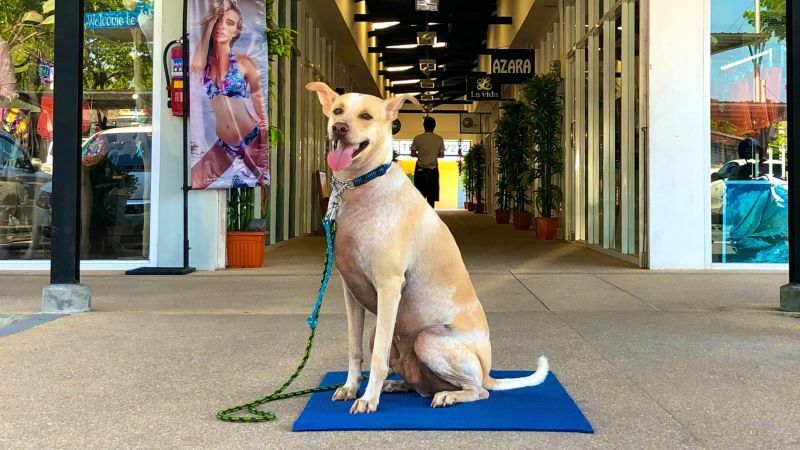 Re-tail therapy: let your dog see the world around them; at a shopping area, for example. 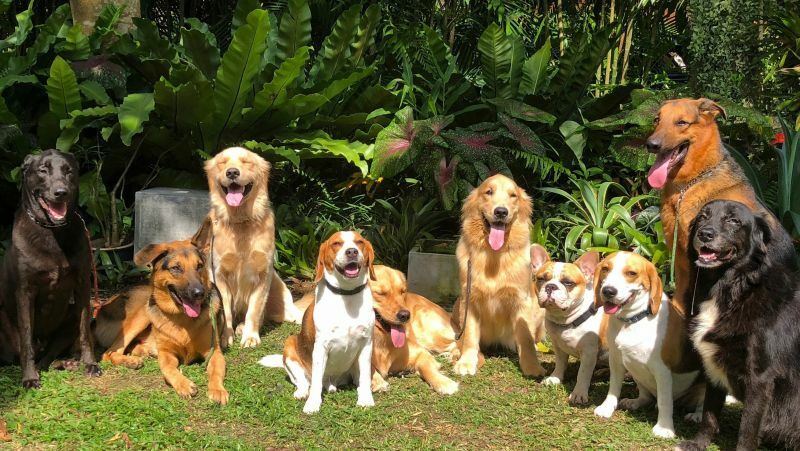 Education, in the form of training, not only helps us have control of our dogs, but also helps to build their confi­dence which is a huge asset for your Fido. Whilst training is an excellent opportunity to bond with your new pup, or strengthen the relation­ship with your adult dog, spending time apart helps your dog learn how to cope on their own. The same goes for your dog being in a new environment sur­rounded by strangers. Board and train programmes, or even doggie daycare, are excellent ways to help your dog develop. Almost everyone asks me about ‘socialising’ their dog. Whilst it is a massively important aspect of be­ing a dog parent, most people misunderstand what it means. Most owners think that socialising their dog means getting them out and about to play with as many other dogs as possible. However, socialising our dogs properly means introducing to them as wide a variety as possible of real life scenarios. This does include meeting and socialising with other dogs, but also means learning how to remain calm and disen­gage from them when required. Taking our young pups out and about for short sessions to see and learn about the world around them is one of the most im­portant things we can do. Taking them to the vet a number of times, not for any treatment, but just to go and have some treats and cuddles for five minutes, helps them to create a positive picture of going to the vet. Walking around a busy shopping area – with people of all shapes and sizes, different noises and smells etc – shows them the real world around them. Busy environments like this can be distracting but training can teach our dogs to learn how to focus on the rewarding bit: you, their human! While these activities are impor­tant, they can be time-intensive. And this is where daycare and board and train options come into their own. Our dogs quickly develop confidence from the training aspects and learn how to behave in a variety of situations. Equally, they have to meet lots of other dogs, of various temperaments and social levels, and they learn how to en­gage and disengage calmly. The reality in life is that we just never know what’s around the corner. Naturally, it’s best to be prepared, and this applies to our dogs too. If our dogs have been used to spending the oc­casional night in boarding kennels or at daycare with other dogs, then when the time comes that they just ‘have’ to spend time at the kennels, it’s not a major drama. Your dog will be calmer and settle in much quicker. A trained and confident dog is a joy to have around, and the more enjoy­ment you get from each other, the more you are likely to do together – it’s a win win situation. Additionally, as the safety and com­fort of our dogs is paramount, having a dog that understands some basic commands and how to properly engage with the world around them makes life much easier and much more enjoyable.